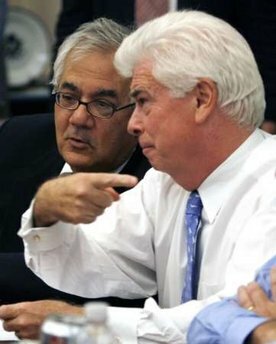 “The Dodd-Frank financial takeover bill will not address the real causes of the financial crisis that government caused, and instead creates new, radical powers for the government to seize disfavored firms, bail out favored ones, monitor finances, and levy unlimited taxes on the American people, all without any vote in Congress or the opportunity to object in court,” Wilson said. ALG has updated two of its key summaries on the legislation, the first detailing the bailout and government takeover powers in the bill, and the second outlining the threat posed to individual privacy through the Office of Financial Research. Wilson warned that under the bill any company could be seized, pointing to the government seizure of GM and Chrysler under the Troubled Asset Relief Program. “Even though those were auto companies that posed no systemic risk to the financial system, and even though there were private sector alternatives to the government takeover, they were considered to be economically important enough to apply to TARP,” Wilson explained. “Just as GM and Chrysler were seized by the government, it will happen again to other non-financial companies under the Dodd-Frank financial takeover bill. Nor will the government will be limited to a $700 billion fund, since the so-called ‘orderly liquidation fund’ is unlimited,” Wilson said. “There is no meaningful provision to limit bailouts, either, despite the well-meaning efforts of Congressional Republicans,” Wilson added. The legislation also provides for a $19 billion “financial crisis” fund funded by more assessments on banks, a provision that was added in the conference report. “The Office of Financial Research will have the ability to know about every transaction in the country, large and small, if it deems it necessary for the sake of financial stability,” Wilson said. The legislation also outlines that the Director of the OFR would be given subpoena power to require “the production of the data requested … upon a written finding by the Director that such data is required” to maintain financial stability. Wilson also cited research by former chief credit officer of Fannie Mae, Ed Pinto, demonstrating that Fannie Mae and Freddie Mac weakened mortgage underwriting standards and mislabeled high-risk mortgage-backed securities, defrauding investors; that the Federal Housing Administration (FHA) lowered down payments on mortgages; and that the Department of Housing and Urban Development’s (HUD) Community Reinvestment Act regulations and “affordable housing goals” reduced lending standards and forced banks to give loans to lower-income Americans that could not be repaid. “None of these root causes are addressed, either,” Wilson said. “The Dodd-Frank bill even prohibits the liquidation of Fannie Mae and Freddie Mac under the ‘orderly liquidation’ authority, a provision that was only added in conference,” Wilson noted. “’Down a Rabbit Hole:’ The Threat Posed by the Dodd Bill to the Private Sector,” Updated June 28th, 2010, Americans for Limited Government. “Big Brother is Watching You: The Threat Posed by the Dodd Bill to Privacy,” Updated June 28th, 2010.